The Fez Documentary is an official selection at the Lebanese Independent Film Festival! 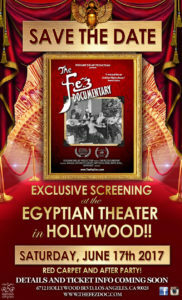 The Fez Documentary Screening at the Egyptian Theatre in Hollywood! The Fez Documentary Kickstarter is LIVE! Click here to donate and see the awesome rewards and plans for The Fez Doc! 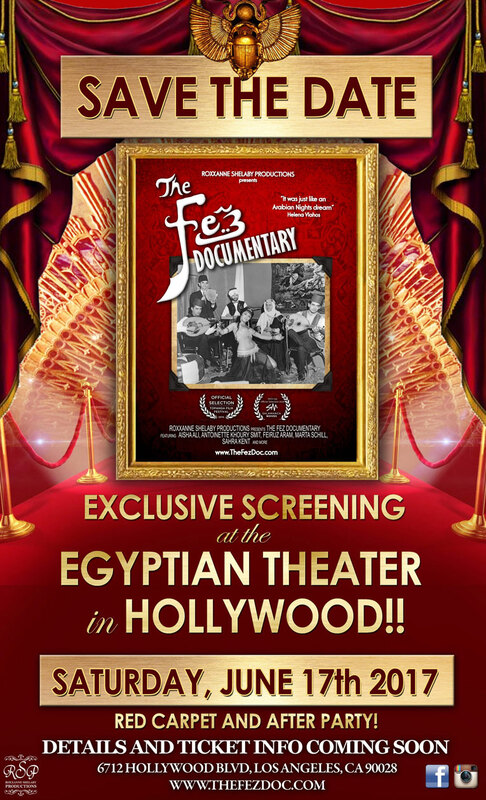 The Fez Documentary will premiere at Cairo Shimyquake on June 7, 2015. More details coming soon! A new interview for the documentary! I got the chance to go to Seattle and film an interview with Zanouba, one of the main dancers at The Fez. New website that incorporates the blog is launched! The Fez team grows and adds two new collaborators! Tiffany and Adrianne have joined the team to help with some of the more organizational aspects and the amazing amount of admin that comes along with producing a documentary! In an amazing stroke of luck, I met with a man who had a live recording of a night at The Fez! Post by The FEZ documentary project. The Fez Fundraiser show was an amazing success. Check out some of the blog posts written about it here. If you’d like to donate to help get our film finished on time, head over to our donation page! Clips of raw footage and other great tidbits about The Fez Documentary can be seen on our blog! to provide you with more Fez content!